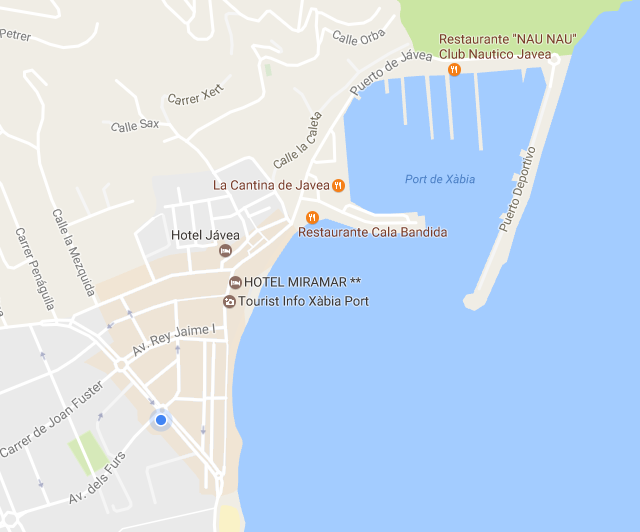 Location of Javea Port. 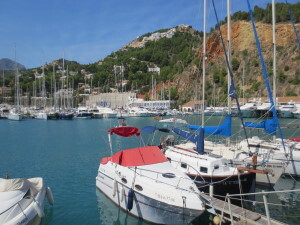 Or known locally as Port Xabia, a popular location for all nationalities both tourists and people to live either part time or all year round. 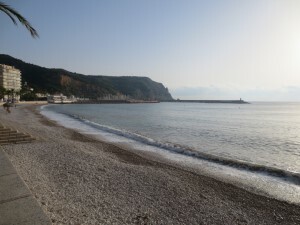 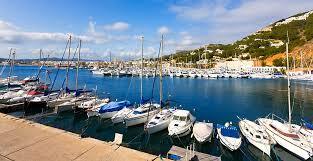 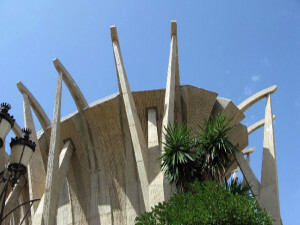 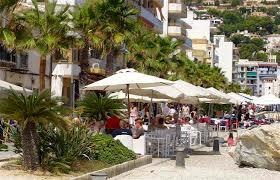 The Port area can be accessed via the main road from Javea Old Town or the main beach road from the main Arenal beach area. 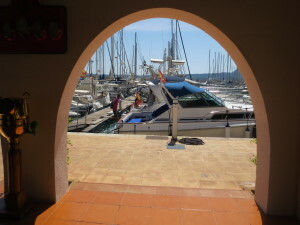 Itls location is perfect for all year round living, Holidays, or visiting for short periods including the winter time. 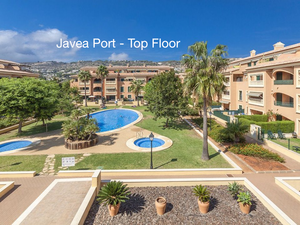 This area is also well visited from the Spanish community especially from Spaniards who live in major cities like Madrid and Valencia, Javea port is a very popular location for them to own apartments and villas in this area, either bought off plan or a resale property. 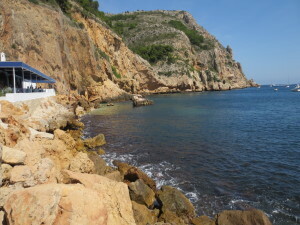 During the summer time, Spanish families will spend long periods of time in their holiday home, it is quite common for the husbands to commute back to the city where they live, while the wives and children and even sometimes professional nannies will stay in their holiday home for months at a time, this is the real way to relax and enjoy the Spanish summer time. 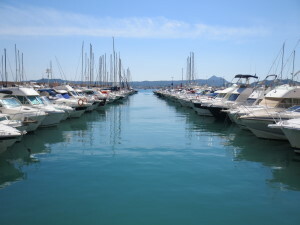 Javea Port Shops, Restaurants, Port Marina and cocktail and Tapas bars. 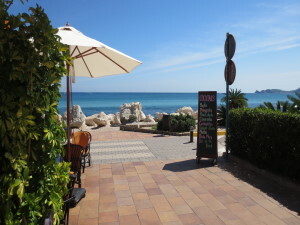 Taking a stroll around the port area, you get a wonderful feeling of peace and tranquility, with a vast selection of restaurants, Cala Bandida, with fantastic views of the bay of Javea, Noray, located on the corner of the main square, Azorin, famous for it's fish and chip (Menu del Dia) Varadero, located opposite the Hotel Miramar, ... along with a great selection of international cuisine restaurants, Hong Kong (Chinese cuisine) Gurkha Palace (Napoleon Cuisine) just to name a few of many great quality restaurants, I would highly recommend you should try. 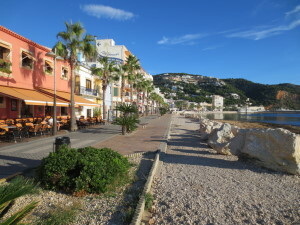 If you fancy a bit of shopping, lookout for ShooLaLa, they specialize in shoes for both men and women and not to mention the selection of fashion bags at very competitive prices, Benetton clothes shop, Springfield unisex clothes, Coloniales, a new perfume shop has just opened in the main square which has just been completely refurbished, new road surface, walkways and have also removed the large trees to create a much better open air aspect. 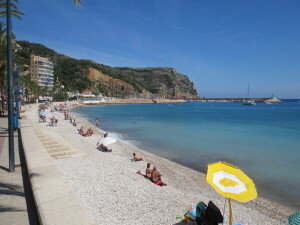 Of course you will also find the important shops and businesses like, Pharmacies, Dentists, and even the local Guardia Civil main station for Javea. 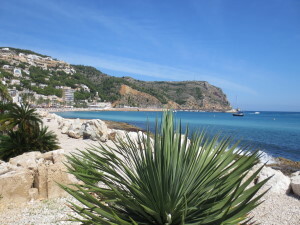 There are only a handful of Hotels in the port area, Hotel Javea has a wonderful restaurant on the top floor overlooking Club Nautico Javea and Javea Bay.